Signs that Your Loved One May Need Placement Moving a family member into memory care facility is never an easy decision. In later stages of dementia, the risk posed by wandering becomes much greater. They can wander even if you just take the time to go to the bathroom and the probability of falls and injuries increases. “Sundowner syndrome“—very agitated behavior that becomes more pronounced later in the day—is a common characteristic of those with Alzheimer’s. This behavior can take a heavy toll on caregivers, and when it begins to severely disrupt family routines, this may be a sign that the caregiving burden is too hard to handle. Verbal, physical, and even sexual aggression frequently happen in those with dementia, and caregivers and other family members may suffer or begin to feel resentful. 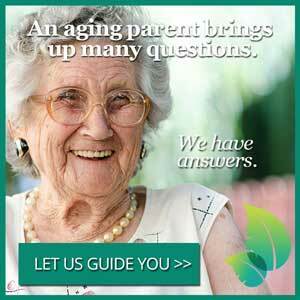 Ask yourself honest questions about your senior family member’s health and your own abilities to care for them. Is the person with dementia becoming unsafe in their current home? Is the health of the person with dementia or my health as a caregiver at risk? Are the person’s care needs beyond my physical abilities? If you’re answering yes to those questions, it might be time to have that tough family conversation. Stress and other caregiver symptoms can be just as telling a sign as the dementia behaviors described above. Caregiver Stress May Indicate a Need for Help. A recent article in the New York Times discussed the psychological costs of caregiving and of making difficult care decisions, which some professionals are likening to the effects of post-traumatic stress disorder. Caregivers may experience symptoms like “intrusive thoughts, disabling anxiety, hyper-vigilance, avoidance behaviors,” and more. The emotional, mental and physical toll of caregiving can be particularly pronounced for spouses of those who need care. In cases like this, it might be clear immediately when the demands of care become too great. In other cases, it might not be so obvious. However, if you are feeling isolated and alone, or if you begin to feel resentful of your loved one, it might be time to examine the source of those feelings, says Vasquez. My Loved One Needs More Help Than I Can Give—What Now? Deciding between Residential Specialty Memory care facility vs in-home care is never easy, and caregiver guilt and grief are common reactions to moving seniors out of their homes. Caregivers may wonder if they could or should have done more; they may feel separation anxiety in moving their loved one to another location. If family dynamics are difficult—if, for instance, a caregiver caring for a parent had an unhappy childhood—that may further complicate the decision process. This is why planning ahead is so important: It’s in our culture that we don’t want to talk about those things, but before dementia begins to affect your loved one’s cognitive health, it’s important to have someone help them collect the right paperwork and make those critical decisions, whether it’s a friend, family member, or physician. Planning ahead, getting informed, and involving the appropriate persons in the decision will ultimately help ease the process when it’s time to move your loved one into care. The best way to be there for them is to know that they are in the proper place for getting the care that they need. Visit communities unannounced or on weekends, before choosing one, and make sure they have overall activity programs and medical support appropriate to dementia residents. Ultimately, try to remember that if you’ve done that research “They are going to thrive wherever you send them.” One source to look for is caring.com ratings chart. As a caregiver, it can be difficult enough to find time to care for your senior loved one, let alone yourself—even if your family member is in residential care. But staying healthy is one of the best things you can do to provide the support your loved one needs. Arranging a short stint in respite care is one way to get some time to rest and recuperate, especially if you are caring for someone at home. Taking care of your mental health is also critical, and there are many benefits to seeking out a circle of support to bolster you when times are difficult. Counseling, therapy, and support groups all exist to help family members going through transitions relating to Alzheimer’s and dementia. Check with the facility that your loved one is moving to, who has led caregiver support groups and coordinated family services at a local residential care facility. Dodge Park Rest Home and The Oasis at Dodge, offer twice a month support groups and other resources for families. These resources can help you come to terms with the idea that sometimes the best decision for the health and happiness of both parties is putting your loved one into care.